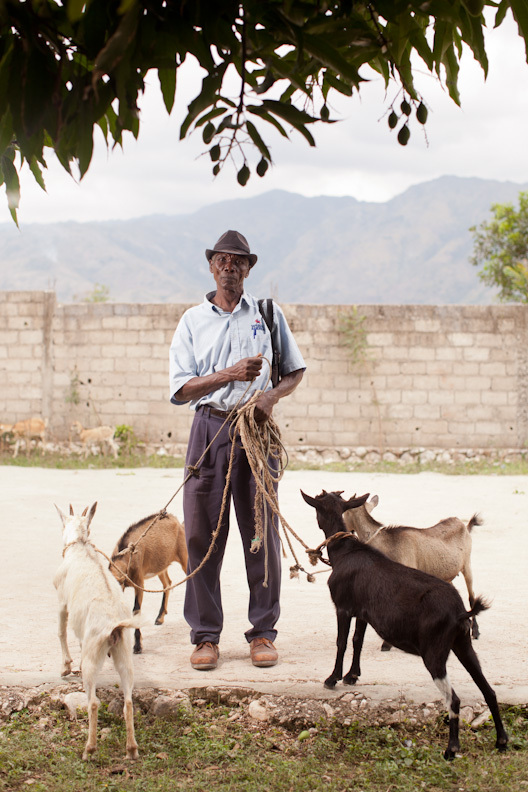 From the sounds of it, Pierre and Oscar's trip to visit our work in Haiti was quite the whirlwind. 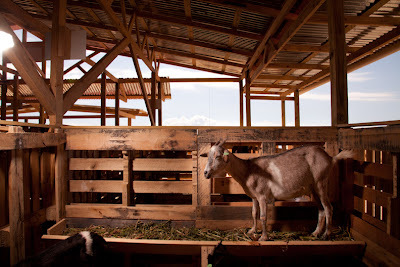 Photos by Dave Anderson, courtesy of Heifer International. 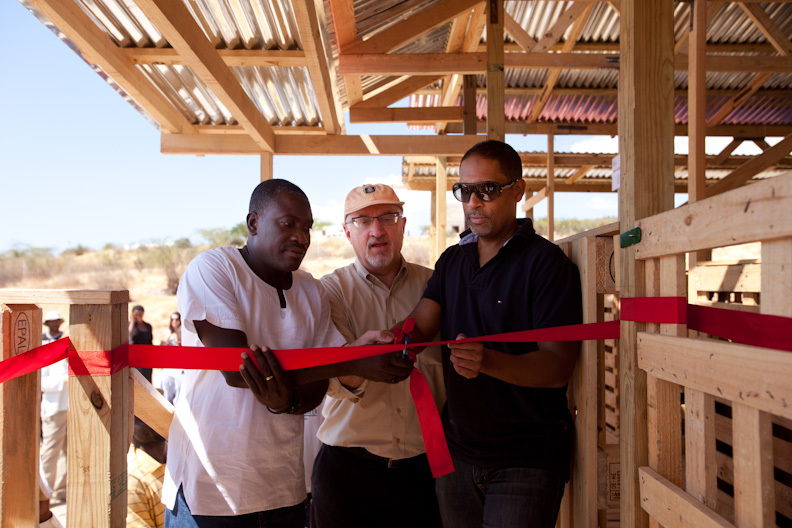 Cutting the ribbon at the grand opening of Tet Kole Goat Breeding Center in Montrouis. and Michel Chancy, Vice Minister of Agriculture and Animal Production. A goat of the Tet Kole Goat Breeding Center. 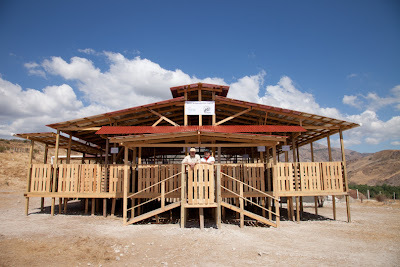 Pierre Ferrari and Oscar Castaneda after the opening of the Tet Kole Goat Breeding Center. 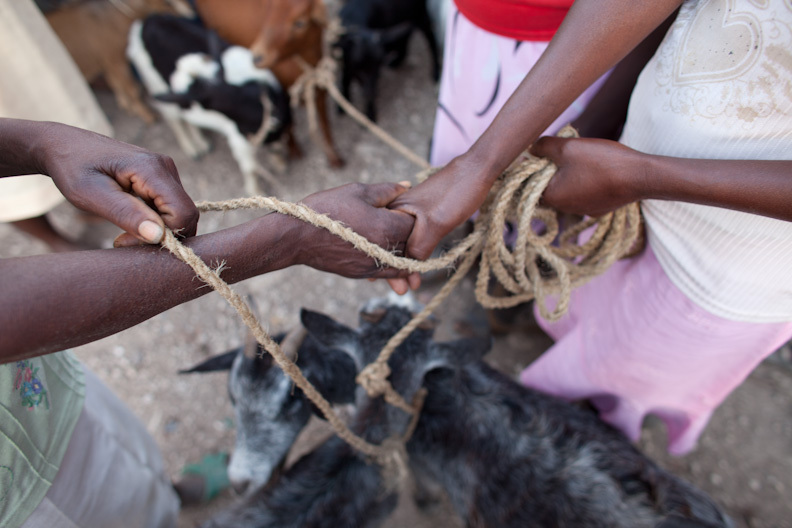 Passing on the Gift of goats. 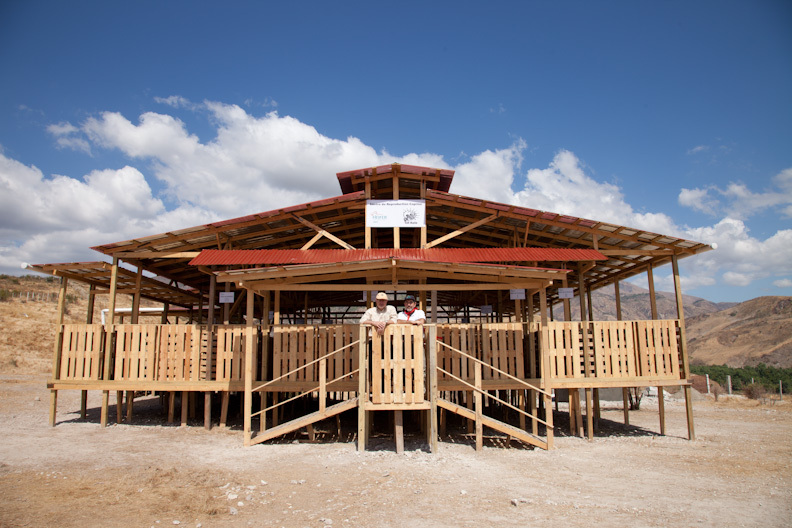 Project participant in Degand. 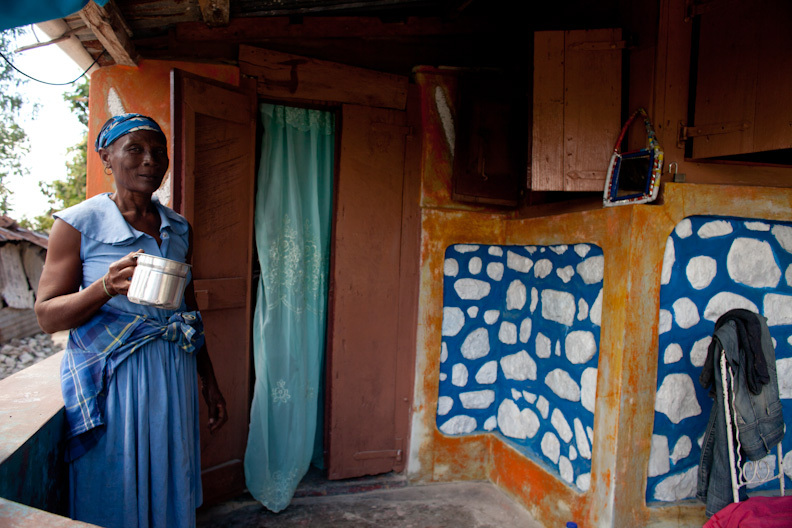 She has a water cistern built in her house. Recipient of four goats in Maniche.